The RainyDayGarage folks make the trek to NYC every year for the New York International Auto Show (NYIAC). 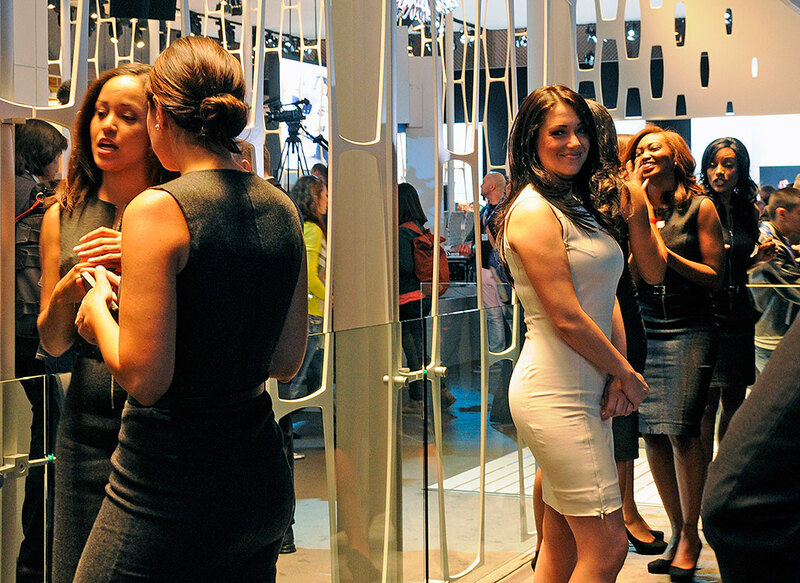 While the show does not open to the public until Friday, they drove down on Tuesday to catch the two-day press-only event. Attending Press Day is a much more enjoyable way to see the show for a couple of reasons. First, as the show hasn’t officially opened, there is no wait to get inside, and once you do, the floor traffic is very light. Second, the vendors are vying for press attention, which means lots of benefits not available once the show officially opens (we won’t tell you what because we don’t want to make anyone jealous), but a big draw is a place to sit down when all the walking has tired the feet and they are screaming for some rest. The best reason to go on Press Day is that they actually let you sit in any car you want, including the really expensive ones 🙂 While it is extremely unlikely that any of us here will cough up $300K for a Lamborghini, none of us would pass up a chance to be able to sit in one, touch the buttons, and adjust the rear-view mirror! One of the oddest car announcements at the NYIAS was the “flying car” from Terrafugia. Terrafugia calls it a Transition® Roadable Aircraft. The Transition looks nothing like a car. It is more of a plane with a foldable wing than a “car” that can fly. While we are pretty sure it won’t drive likea car, the TRA will allow the owner to land it, fold up the wings, and drive it up to the house. However, it is not remotely close to the flying car as per the Jetson’s which we all have been hoping for. However, unlike the Moller, at least the Terrafugia “flying car” has gotten off the ground. A more realistic idea than a flying car is an all electric car. 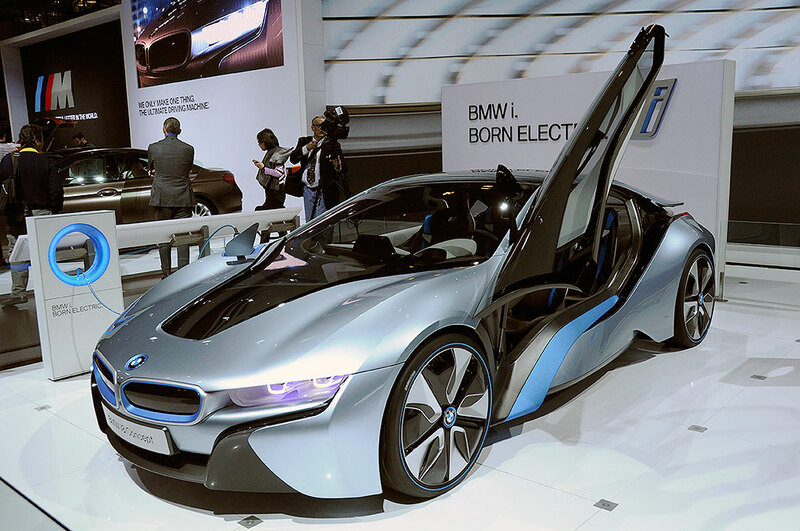 Electric vehicles have been making an appearance at the NYIAS for the past few years. With improving technology, they have been morphing from boxy golf carts to sleek vehicles, some of which people would actually want to own. Every car makers at the NYIAS tries to put their best foot forward to impress the show goers. Some of the companies tout their European racing heritage (Porsche, Ferrari) while others stress their old-world hand-craftsmanship (Bentley, Rolls Royce). Jeep went in a different direction. They built an elaborate obstacle course outside to let people get some first-hand experience with what it is like to drive one of their vehicles in situations where 90% of Jeep owners have not and probably will not ever see. Still, it is cool to know that the car can handle it should it ever be necessary (like in the event of a zombie apocalypse). While we are not sure if Jeep will have the course open to the general public, they did let those of us from press who were interested tryout some Jeep’s offerings on a simulated off-road environment. It was quite impressive to see the Jeep navigate a bank, climb an incline, or go over logs we definitely would not attempt with a normal car. 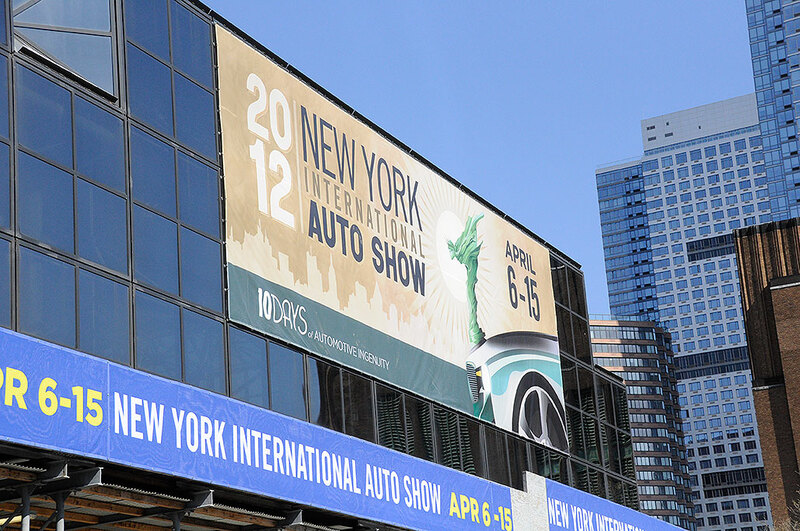 The NYIAS is at the Jacob Javits Center and opens to the public this Friday April 6. It will run until the 15th. There will be a bunch of events geared toward the show goers. Go and have a great time. We did!